Bang Means Do it software have brought us another FX app to add to their portfolio. FS FreezeVerb is a lush sounding stereo reverb, useful for both subtle ambience and cavernous reverberation. 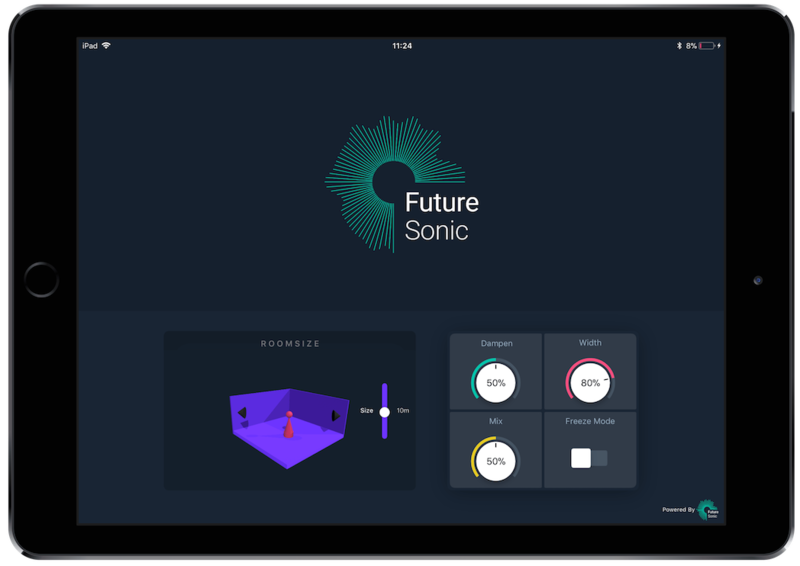 The app features a clear and simple design, FS FreezeVerb aims to make it easy for users to dial in their ideal reverb settings – complete with a visualisation of the virtual room, which is one of the most interesting features from my perspective. The Dampen function lets users vary the damping within their virtual room – lower settings mean less damping, making the room’s walls more reflective. The other feature that has really caught my attention is the Freeze Mode. When this mode is turned on, the reverb signal at that particular moment is ‘frozen’ and continues indefinitely, which sounds like something that could be used in some really creative ways.